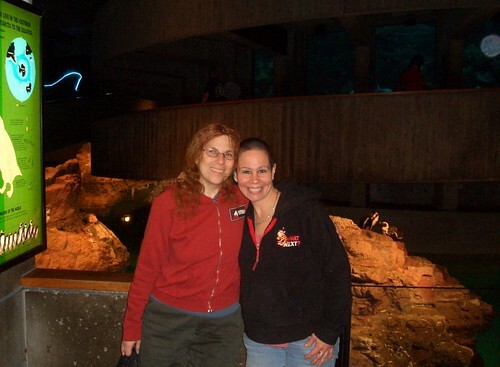 This is me and Regina, and some penguins at the Boston Aquarium. I've known Regina since I moved to Fair Lawn, NJ in the mid-70's. I've lived across the street from her, gone to Brownies together, been in grammar and high-school and shared a love of Barry Manilow. We've been through some ups and downs together, but things are good now and she's definitely the friend I've known the longest. Photo taken in May 2007. Regina and K-Gal, a photo by karaokegal on Flickr.